The Philippine Chamber of Commerce and Industry (PCCI), the largest and most influential business organization in the country, clarifies that the Philippines is not the "worst country for business" in the world. In a statement, PCCI president Dr. Francis Chua said that the article, which came out in CNBC.com, was taken out of context and does not reflect the overall condition of doing business in the country. Reacting to the article’s claims that the country ranks as fourth worst country to do business in the world, citing constraints in registering, closing and resolving insolvency, among others, PCCI said that the basis of such claims should be validated across the country and should reflect the real and actual conditions in the local level. “We are concerned of such sweeping statement that gives the country a negative publicity. There have been significant reforms undertaken in various levels of government, majority are work in progress. 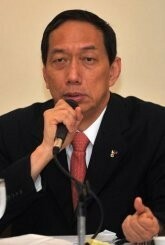 Unfortunately, surveys fail to take into consideration these continuous reforms,” Dr. Chua said. PCCI also mentioned that to benchmark the Philippines against more developed countries, particularly OECD (Organization for Economic Cooperation and Development) countries, is a mismatch. “Clearly we have a mismatch if you rank us according to OECD standards. Our country is a young democracy and emerging economy, and we take into consideration lessons from past governments in charting our long-term policies and reforms to improve our business competitiveness,” Chua added. PCCI, meanwhile, acknowledges that the country’s competitiveness ranking is still far from being in the top third globally. PCCI, however, retorts that the Philippines is not worse off compared to other countries affected by the global crisis, and this is due to the new-found confidence by investors and businessmen on the economy. “Looking at the prospects of the country’s economy, we are in a more stable environment compared to some countries in Europe and North America, which place high in competitiveness rankings but are currently suffering high unemployment rates, credit downgrading and account deficits. Our competitiveness policy must be hinged on developing an industrialization strategy that focuses on optimizing our inherent comparative advantages such as our globally recognized pool of human and natural resources and work towards improving their contribution to value added activities in the economy," Chua articulated. "Sectors such as business process outsourcing, logistics, mining, shipbuilding, agribusiness, electronics, creative industries, home decor and lifestyle, entertainment and tourism, are some of the important sectors where we have comparative advantage and can take the lead in enhancing our international competitiveness,” he added. PCCI noted that achieving global competitiveness cannot just be limited to scoring a high ranking in doing business surveys but rather instilling the competitiveness mindset and continuous introduction of long term policies that enable the development and expansion of economic activities where businesses are able to compete evenly, enhance their productivity and produce cheaper goods and services that can meet both local and international demands. PCCI encourages the government to remain open for dialogue and partnership especially in areas that directly impact on private sector’s competitiveness performance. These include: improving responsiveness and transparency of government institutions, lowering the utilities’ cost, streamlining transaction flows and costs, improving infrastructure, honoring contract obligations, increased funding for technical education, skills training and innovation, competition and antitrust policies, and proactive international trade policy.